Waxing, shaving, laser/IPL, and even epilating are all popular and even mainstream methods of hair removal. Sugaring is a lesser known but ever growing in popularity method of hair removal. Sugaring is similar to waxing, but uses a sugaring paste or wax that is all natural and is more gentle on the skin. Sugaring hair removal was first used in Persian over a millennium ago, during a time where sugar was only found in Persia or modern day Middle East. Unlike wax which sticks to both hair and skin, this ancient method of hair removal sticks to the hair while conditioning the skin. Sugaring wax is primarily a heated mixture of water, sugar, and lemon, heated until it resembles a pliable candy like consistency. This is then applied just like you would apply wax to remove hair. Aside from lemon, there are many other additives that can be found in sugaring paste, including those that had aromatherapeutic benefits. Some other common ingredients are cornstarch to thicken, honey or molasses for additional skin conditioning, guar gum for thickening, and any essential oil for aromatherapy and fragrance. You can buy pre made sugaring wax or paste, or make it at home yourself like the ancient Persians. To make it, the process is very simple but it takes a little bit of practice to get the consistency right. We’ll cover a great recipe later – to skip to it now, please click here. Sugaring paste feels similar to regular wax, but is actually much more gentle on the skin. Even the most gentlest of wax grabs both skin and hair. This allows for the wax to grab all of the hair at one time with one pass. Sugaring wax only grabs the hair and this makes sugaring less painful than waxing. Because sugaring wax isn’t as grabby as regular wax, it sometimes takes more than 1 application of sugaring wax to completely remove all of the hair. However, because the pain is minimal, this is easy to do. Sugaring wax is also made of natural ingredients, usually of water, sugar, and lemon. The lemon is added for acidity to break up the sugar molecules. The water in the paste helps moisturize and condition your skin while it is applied. You can also sugar large areas of hair at one time. With regular wax, there is risk of the wax drying out and making it more difficult to remove so you wax a section of skin, remove wax, and then move onto the next section. With sugaring hair removal, you can apply the sugaring wax to a large area without risk of it drying or hardening. Then you can take your time removing the sugar in smaller sections. Regular waxes, especially soft waxes have to be applied hot otherwise you end up with too much wax with each application. This can result in the wax strip or cotton strip grabbing onto the wax and not the hair. Even with regular hard wax, you need for it to be very warm so that it remains pliable while you apply it on your hair. Sugaring wax has a much lower melting point temperature than many regular waxes. So you can keep the temperature of the sugaring wax much lower and still apply and reapply. Traditional or homemade sugaring wax leaves no residue. With some pre made sugaring waxes you may notice a small amount of residue, but this can be washed off. Unlike regular wax, sugaring requires no pre treatments or post treatment oils to help with the sticky residue. If you apply too much sugar in an area or have difficulty getting it all off, you can just wash it off with water and start again. In fact, if you use cotton muslin strips to remove the sugaring wax, you can just throw the strips in the washing machine and reuse them again during your next sugaring session. It’s a very eco friendly hair removal method! With regular wax, you find that if you miss hairs, a second pass with the wax leaves your skin red, irritated, and resembling chicken skin. This is because the regular wax grabs both the skin and the hair. With sugaring wax, you can apply and remove the wax as many times as you need with little irritation. While sugaring should take no more than two passes to remove the hair, if you need a few applications to remove hair in a curvy or joint area, then sugaring is a great gentle option. If you have thick coarse hair that you have let grow out or have been shaving, we’d recommend that you wax with regular wax first before sugaring. Sugaring is great for softer hair and will not work as well on very coarse hair. Long term shaving (without waxing in the interval) can make the hair follicles thicker, and sugaring may not be able to be remove all of the hair. However, if you have been waxing, then you may have noticed that the hair regrowing is softer and less coarse. Sugaring is a great follow up to traditional wax for long term maintenance. If you have softer, finer hair to begin with, you already make for a great candidate for this eco and at home friendly hair removal method. Sugaring wax hair removal is similar to traditional wax hair removal, with a minor but important difference. First, if you make your wax at home, you’ll find that you can make both the traditional hard and soft waxes with the sugar. Even if you do not make it at home, and buy ready to use options, you’ll notice that some have a hard wax consistency while others have the soft wax viscosity. This means, you can make the sugaring paste a bit thicker by cooking a little bit longer and use this just like you would a regular hard wax – without cotton strips. You apply the “hard” sugaring wax in the direction of hair growth, and then remove. You apply it thickly, then you lift the edges with your fingers and remove by gripping the wax and pulling in the direction opposite of hair growth. This is the same technique that you would normally use for a regular hardwax. If you prefer using strips to remove the wax, then you make the soft wax version of the sugaring wax by cooking it less. This method uses cotton muslin strips or another soft disposable wax strip like a regular soft wax. Here’s where how you sugar breaks off from how you waxing. With the soft sugar wax, you apply the sugaring wax in the OPPOSITE direction of hair growth, press a strip down on the wax, and quickly pull in the SAME direction of hair growth to remove. This is the exact opposite of how regular soft wax is applied and removed. It seems very counterintuitive but this allows for better sugaring hair removal. If you’re not convinced, you should try both to see the difference. Also if you use cotton muslim strips to remove hair, you can throw them all into the washing machine to wash off the hair and sugar, and reuse the strips. This can be a huge benefit. With sugaring hair removal, not only can make your own wax, but you don’t have to rebuy removal strips. It’s the ultimate money saver – no professional salon visits and no having to restock home waxing materials. To remove any residue, wash with warm water and then moisturize. The lack of residue with sugaring makes this more ideal than regular wax for at home use. Sugaring predates modern day waxes because it is so simple to make. The ancient Persian recipe of heating sugar and water to make a candy like syrup was easy to make in a part of the world where sugar was abundant and hair removal was as much of an art form as routine. At the same time, it may take an attempt or two to get the perfect consistency for at home sugaring and not end up with a sugaring paste that is too thick or runny. If you can’t get it right, don’t have the time to make it yourself, or it’s too messy of a process, but like the gentleness and ease of sugaring instead of waxing, there are a few great options of premade sugaring wax. These options are just as convenient, (if not more because it’s premade) as homemade sugaring wax. They have short ingredient lists and can easily be washed off. Either way, let’s look at how to make sugaring wax or which to buy. Want to go to our guide to making sugaring paste at home, click here. Making sugaring wax can be a little tricky at first, but only involves 3 ingredients – sugar, water, lemon juice. It is tricky because you have to figure out when to stop cooking to get the right consistency. However, if you are a natural DIY-er and don’t mind throwing out the first learning batch that you make, then it’s easy to make sugaring wax at home. There are several pros of making sugaring wax at home. First, you can control the ingredients. 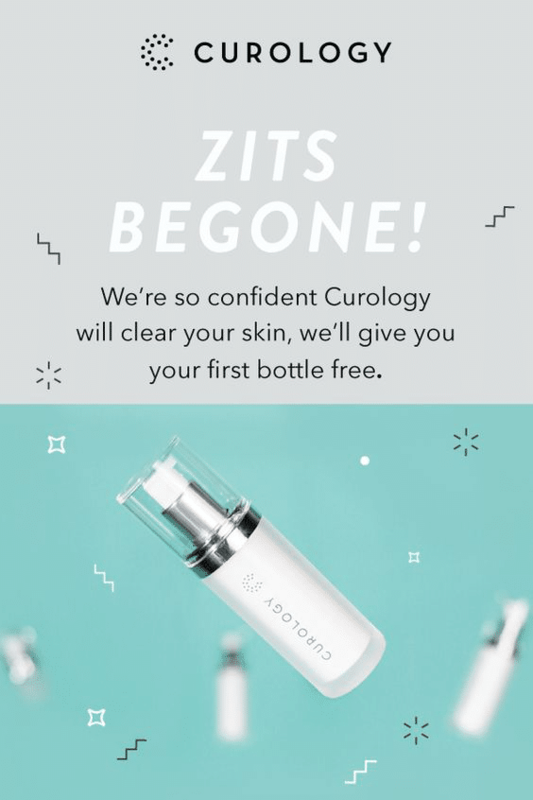 Maybe you have sensitive skin? Add a few drops of lavender oil to help condition your skin while you sugar off hair. Or you want to create a spa like experience at home? You can add any essential oil to the sugaring paste and you’ll be able to smell it and enjoy its aromatherapeutic benefits. Or you found that muslim strips you are using prefer the wax to be slightly more liquid. You can cook the sugaring paste a bit less in your next batch. These are just some of the many ways you can custom make your own sugaring paste. Not to mention, because most people have sugar, water, and lemon juice in their kitchens all the time, you can make sugaring paste any time. No need to wait for a mail delivery or run to the store to restock sugaring paste. Make some more in 5 minutes and get to smooth skin at 6. So, you want to make your own sugaring paste? Here is a guide to how to make different kinds of sugaring wax at home. Don’t want to make sugaring wax yourself and prefer a ready to use product? CocoJojo sugaring wax is our favorite option because its simple ingredients make it most like the homemade sugaring wax. First, let’s look at the ingredient list. It has honey, sugar, lemon juice which make up the basic sugaring wax base with argan oil, tea tree extract, and azulene oil for skin conditioning. No needless additives or chemicals. 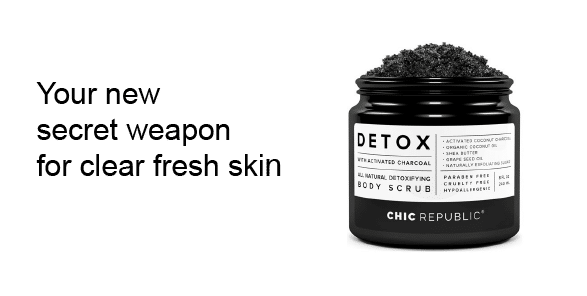 If you prefer simple products or don’t want the hassle of making sugaring wax at home, this is like if your DIY skilled friend offered to make it for you. CocoJojo also makes several types of sugaring waxes – hard sugar wax and soft sugaring wax just like you can at home. There is also a bikini wax that is a thicker harder version of regular sugaring paste. To read verified reviews of CocoJoJo sugaring wax, click here. Gentle Bees sugaring wax is made by a very small company in Texas, and is another great ready to use sugaring wax option. You might have noticed that CocoJoJo adds skin conditioning essential oils. But, if you’re allergic to one of the oils or you’re allergic to honey, then Bees sugaring wax is a better product for you. Gentle Bees sugaring wax only has 3 ingredients – sugar, wax, and lemon juice. These are the same 3 ingredients you use to make the basic sugaring wax at home. It also comes in a glass container that you can microwave and use when you need to remove hair, and it makes it easy to control the temperature of the wax. To read verified reviews of Gentle Bees sugaring wax, click here. Moom sugaring wax is our favorite option for sugaring hair removal while traveling. Moom is a family owned business that has been around for a long time, and has more diverse set of products than anyone else. Their kits come with everything you need – applicator popsicle sticks, wax removing strips, and easy to warm wax, and it all comes in a small travel friendly packaging. Like CocoJojo and Bees, Moom sugaring wax also has a simple ingredient list – sugar, lemon, water make up the base and chamomile and tea tree oil offer skin conditioning properties. To read verified reviews of Moom sugaring wax, click here. Waxing is hair removal method that uses waxes made from resins and tree by-products to remove body hair. Waxing removes the hair from its root, and so lasts longer than shaving or depilatory creams. You can get a wax to remove hair from a professional salon or wax at home. There are two consistencies available in wax – hard wax and soft wax. Hard wax is applied and then removed by gripping the edge of the applied wax. Soft wax is applied, then a wax removal strip is pressed and smoothed over the applied wax. The wax removal strip is then removed quickly to remove the hair. Waxing can last up to 2 weeks before new hair grows back in. To wax again, you need to wait until the new hairs grow 1/ 4 inch otherwise the wax will not be able to grab the hairs to remove hair. Want to learn more about waxing at home? Read our guide to home wax kits, best waxing practices and more. Sugaring is a natural hair removal method that originated in Persia, and is used like traditional waxing to remove hair completely, from the root. Sugaring paste is a simple mix of lemon, water, and sugar melted at low to medium heat until it resembles a candy mix. Once cooled, it can be used just like waxing where you apply the sugar on your skin and hair and then pull to remove the hair. Sugaring can last up to 2 weeks before new hair growth. You can make or buy sugaring paste that is meant to be used as a “hard wax” or “soft wax”. Like hard wax, sugaring paste can be applied and then removed by gripping the edges of the applied sugar and pulling away to remove the hair. You can also undercook the sugaring paste to make a soft wax like sugaring paste. This is applied to the your skin and hair and then removed with strips of cotton muslin or another disposable wax strip. Making sugaring paste yourself is not difficult. However, if you’re looking to save time or you want to try a sugaring paste before you attempt to learn how to make it yourself, read our guide to sugaring at home to learn which sugaring product can get you started and work best. There are a few differences between sugaring and waxing. First, a simple sugaring paste has no additives, essential oils, chemicals, or preservatives commonly found in waxes. So if you have had an allergic reaction to waxing or waxes before, sugaring is a great option for you. Second, any residue left behind after you sugar can be washed off with water. Waxes need to be removed with post wax treatments or with oils. Third, the sugaring paste that you use to remove hair is only warm when you apply it to your skin and hair. In comparison, wax is applied hot and removed when it slightly cools. Sugaring paste is an easier and more comfortable way to remove hair because it can be used at a lower heat so you’ll never burn yourself. And finally fourth, sugaring paste is applied AGAINST the growth of the hair and removed with the growth of the hair. This is opposite of waxing, where you apply the wax in the same direction as the hair growth and remove the wax by pulling against the hair growth. Want to learn more about sugaring to remove hair at home? Read our in depth guide to sugaring hair removal here. It depends on how fast your hair grows back in, but for many people, waxing can last around 2 weeks before new hairs grow. Sugaring removes hairs in the same way as waxing (from the root), so it lasts the same amount of time as waxing. Both sugaring and waxing last the same amount of time, up to 2 weeks. Sugaring and waxing cost about the same amount of money if you skip the accessories and just compare oranges to oranges. Here’s a breakdown. An 8oz container of Gigi’s wax costs about $8-9, and an 8 oz container of pre made sugaring paste from CocoJoJo costs about $9. You can use the same applicators (popsicle sticks) for wax or for sugaring paste. You can also use the same kind of wax/sugaring paste removal strips for both, which you can buy in bulk or tear up an old cotton bed sheet to make strips. One benefit of sugaring paste is that you can throw all of your cotton strips in the washing machine after you have removed hair with them, and reuse them for as long as you want. Complete kits that include a plug in wax/paste warmer and pre and post treatments for either waxing or sugaring paste are also similarly priced, running from $40 to $120, depending on how fancy you get with the accessories. We can also compare professional services. If we wanted to get a professional to do it, waxing prices near us in California can cost about $300 dollars for a full body wax. Sugaring costs a little bit more at about $350. Sugaring and waxing both cost similar amounts of money for wax/sugaring paste and accessories. Professional sugaring is slightly more expensive than professional waxing. Waxing removes hair but can also remove the top dead layers of skin as a mild exfoliant. Waxes grab both the skin and hair, and so when you pull the wax off of your skin, you are feeling the sensation of both your hair being pulled and your skin being tugged gently. In contrast, sugaring paste does not stick to the skin at all. It only grabs hair and removes it when pulled away without any of the exfoliation of waxing. So sugaring is a less painful hair removal method than waxing. The sugar in the sugaring paste can be a gentle conditioner for your skin as well. If there are essential oils in your sugaring paste, these can act as skin conditioners as well. Sugaring does not grab skin like wax does and so is less painful. For this we aren’t going to count the prep time for sugaring or waxing. What does this mean? 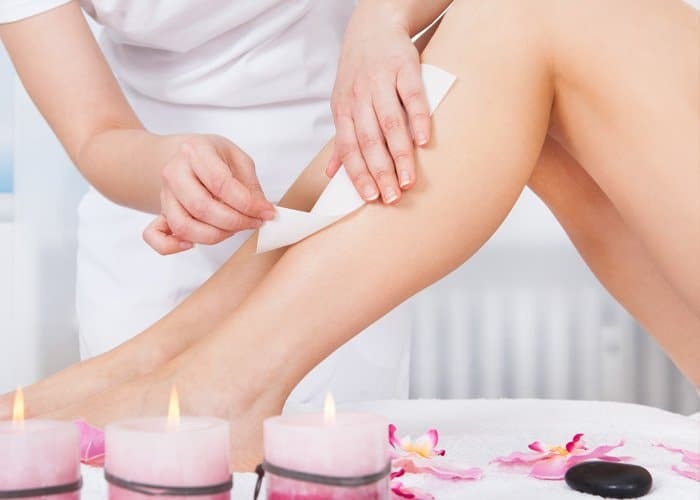 For waxing, there is prep time involved for warming the wax and for sugaring, you either need to make the sugaring paste or like wax, you need to warm the sugaring paste. Prep aside, the actual process of sugaring can take longer than waxing, especially the “hard wax” type of sugaring paste. Waxing involves applying the wax in lines with an applicator stick, and then removing it with a strip or by gripping the edge of the cooled wax. With sugaring, you take a wad of sugar and work it with your hands and fingers to make it more sticky and easy to apply. Then you take the sugaring paste and apply it to your hair, grab the edge and remove the sugaring paste and hair quickly. Before reapplying sugaring paste, you take what you just removed and work it between your fingers again, before you take it and apply it the next area with hair. This process takes a little time to do well efficiently. With waxing, it is applied while hot and pulled, applied and pulled. Sugaring takes a little more finesse and time because the sugaring paste is not as hot and so it must be worked with your hands to make it easy to apply. Waxing is somewhat faster to do than sugaring, but not by much. The process is similar for both, but sugaring’s extra step adds a little time. As you might have caught on in the previous comparison, sugaring has an extra step because it is used at a cooler temperature than waxing. But does it make sugaring harder to learn? Actually waxing and sugaring require the same physical skills to remove hair from the root without breaking it halfway. Sure, there is some extra skill needed to manage the sugaring paste, but the application of wax or sugaring paste on your skin and then its removal is the same. It takes a little practice with both waxing and sugaring to realize how fast and at what angle you should pull to remove the entire hair. If you’ve had a professional wax session before, then you have a good idea of how to grab the wax or sugar and quickly flick your wrist to remove the hair with the least amount of pain. But even if you haven’t, it only takes 1 or 2 tries before you get the handle on the best way to remove sugaring paste or wax. Both sugaring paste and wax remove hair in the same way and so require the same type of skills to do well. Sugaring and waxing are definitely far more convenient than shaving because they last so much longer. Between the two, sugaring might have a very slight edge over waxing in terms of convenience because you can just wash off the residue of the sugaring paste when you are done removing hair. To remove wax residue, you have to use an oil that will stop your skin from feeling tacky or sticking to clothes. But with sugaring, you can just hop in the shower or wash the area you just sugared with some warm water to remove all stickiness. Sugaring is a slightly more convenient process than waxing because its residue is easier to remove. Sugaring has all natural ingredients and so is better suitable for those with sensitive skin that is easily irritated or acne prone. Waxing has more options in terms of aromatherapeutic benefits via essential oils and skin conditioners as well as types of wax, like for face or for bikini. Otherwise, whether you choose waxing or sugaring is up to your personal preferences or adventure level. To learn more about sugaring, read our guide to sugaring at home and how to pick a sugaring recipe or product to get starting on removing hair with sugaring. Want to get into waxing? Read our guide to the best wax kits available today and how to wax at home as painlessly as possible. Welcome to Being Healthfull, your online source for holistic nutrition with equal focus on traditional and alternative methods, healthy hair and skin tips, natural remedies and recipes, and DIY beauty products for the conscientious consumer. Looking for our scholarship? Use this link to access our yearly scholarship for health and nutrition students.